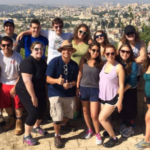 Selected Jewish communities around the world (countries and/or cities) offer Onward Israel programs for students and young adults. Check the list to see if you are eligible. 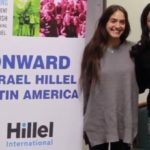 Onward Israel Global Programs provide resume-building opportunities all internship fields of interest in summer 2019. For United Kingdom residents only. 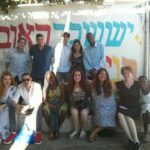 UJIA Onward Israel is a 2-month Internship and Leadership programme designed to provide Students and Young Adults from the United Kingdom meaningful internships and training seminars that will set them up for successful careers on campus, in youth movements or in the working world. 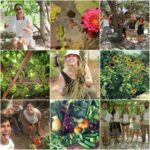 Spend the summer living as a local in the heart of Jerusalem’s Old City while simultaneously improving Hebrew, exploring the land and advancing your career in the internship placement of your choice. Way More Israel also offers workshops and classes on timely Jewish topics. 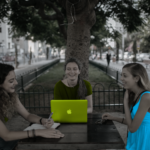 Launch your tech career this summer in Tel Aviv with a 10-week internship as junior software developer in one of Israel’s top tech companies. Our Elite program is designed for excellent Computer Science/Software Engineering students from leading academic institutions. The internship will help you gain the skills you need to begin a successful tech career while enjoying an international experience with excellent CS students like you. 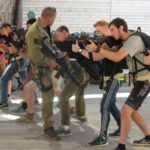 The Garin Mahal Pre-Army Program is the ultimate pre-army preparatory program for lone soldiers drafting to the IDF. Enter the IDF with complete confidence and motivation to succeed! 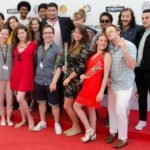 Founded at 2014, The JFW is a six-week summer program in Israel, designed for talented young filmmakers from all around the world. 24 selected participants will get a once in a lifetime experience, being guided by some of Israel’s top filmmakers, taking their skills to the next level, while creating an original short film on the best documentary set in the world – Jerusalem. 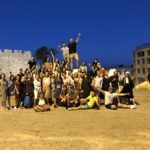 An internship and leadership program for Masorti youth educators, provided by NOAM Olami and Onward Israel. 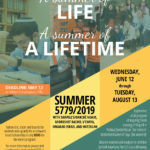 Enrich your leadership skills and Jewish knowledge while connecting with your peers from all over the world. Develop your professional future and enrich your resume through a high-level internship. Experience day-to-day life in Jerusalem, working and living as locals. 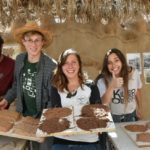 The Green Apprenticeship is a 4-week intensive hands-on training program in sustainable agriculture, natural building, ecological design and community living on Kibbutz Lotan in the southern Arava desert. The course work is divided between theoretical studies and practical application. 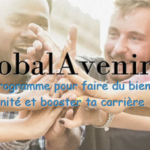 Le programme GlobalAvenir a pour vocation de former des jeunes français aux enjeux du secteur humanitaire et social en leur offrant toutes les clés professionnelles en Israël, l’expertise, le savoir-faire, le réseau et la pratique nécessaires pour propulser une carrière porteuse d’altruisme et de valeurs. 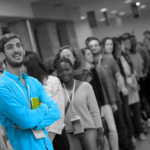 Top Israel Interns is a prestigious provider of professional internships in Israel. Live in Tel Aviv, kick-start your career and experience Israel like a local on this 8 week adventure abroad. During this Tel Aviv-based internship program, you are placed in a work environment based on your skills, interests and future plans. Intern four days a week, meat the most influential startups of today and immerse yourself in Israeli society one day a week with a cohort of other young adults from México and Latin America. Spend four weeks in intensive and inspiring Torah learning followed by four weeks of training as an Emergency Medical Responder. For male participants. Spend four weeks in intensive and inspiring Torah learning followed by four weeks of training as an Emergency Medical Responder. For female participants. 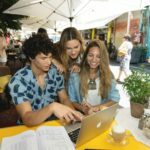 Aviv’up est le programme de référence des stages d’été et des expériences professionnelles en Israël pour les étudiants et jeunes actifs. 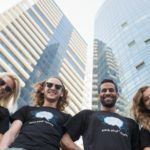 Aviv’up permet aux jeunes souhaitant vivre une expérience professionnelle à l’étranger ou ayant un stage à valider pendant l’été, de le faire en Israël. The Harry Zimmerman and Family StandWithUs Fellowship is a six-week immersive educational Israel experience and leadership training program uniquely designed by Masa Leadership Academy with StandWithUs in order to optimize Israel educational programs on campus in North America and the United Kingdom. The Fellowship is implemented in partnership with Onward Israel. Sign up for The Diplomatic Jewish Leadership Incubator- a six-week immersive diplomatic experience and leadership training program uniquely designed by Masa Leadership Academy together with the Israeli Ministry for Foreign Affairs and Onward Israel in order to engage a select global cohort of young adults with its missions and Embassies around the world. The intensive internship and training opportunity will introduce participants to the world of Israeli diplomacy; the people, the issues and the skills. Yachad KTS+ is a program designed for young orthodox women coming to Israel to explore their options. They are interested in learning about their roots, connecting with the land, enhancing their education and acquiring new skills and professions. This will give them the opportunity to take their skills and knowledge out to the greater world and be productive members of society and make a true impact. Our dedicated, professional staff help students develop interpersonal and intrapersonal skills as well as business and marketing skills, guiding students through critical thinking and self-exploration, giving them tools to succeed in the social, professional and spiritual aspects of life. 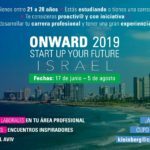 Onward Israel with Hillels of Latin America is a unique opportunity to sharpen your professional skills in the start-up nation. 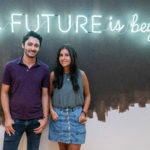 Living in the heart of Tel Aviv for two months, interning at elite Israeli companies and taking accredited business courses, Hillels Onward Israel is the perfect opportunity to start (or restart) your career. Choose your focus area: Business, HiTech, Social Entrepreneurship. Программа Onward Winter Experience – это твой шанс провести полтора зимних месяца в Израиле с пользой и перспективой для развития своего будущего. Два месяца на солнечном берегу Средиземного моря в компании друзей из разных стран станут незабываемым опытом жизни в Израиле, познакомят тебя с миром трудовой занятости и секретами трудоустройства, откроют новые возможности дальнейшей стажировки. Проявить себя ты сможешь во время занятий и знакомства с работодателями, показав высокую мотивацию и сказав “спасибо” Израилю, предоставившему тебе такую возможность. Курс иврита, занятия в Jobs Club, встречи и мастер-классы в рамках академии IsraelWay, волонтёрство, солнце, море, экскурсии – всё для того, чтобы ты почувствовал Израиль изнутри.